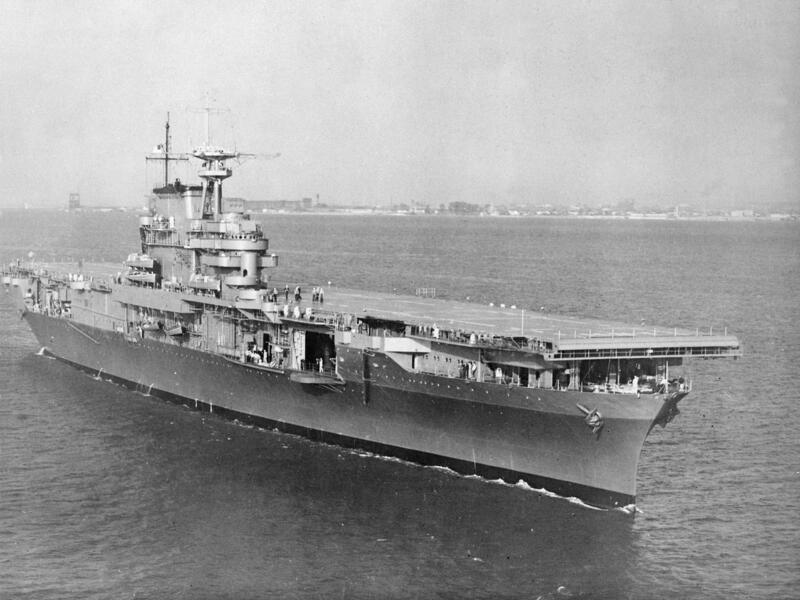 USS Hornet may be best remembered as the aircraft carrier that brought Lieutenant Colonel James Doolittle and 16 B-25 bombers close enough to bomb Tokyo in April, 1942. Though the bold raid did little damage, it was the first American counterstrike against Japan and lifted spirits amid the deluge of bad news in the months after Pearl Harbor. She later participated in the stunning U.S. victory at the Battle of Midway and then steamed to the South Pacific to support the first American offensive of the war at Guadalcanal. Hornet was lost in October, 1942 at the Battle of Santa Cruz – a coordinated attack by Japanese dive bombers and torpedo planes left her afire and irreparably damaged. American destroyers took off all but 140 members of her crew and Hornet was finally sent to the bottom by Japanese destroyers. The wreck was found by an autonomous underwater vehicle operated from R/V Petrel, a 250-foot research vessel on a mission funded by the Paul Allen Foundation. The billionaire philanthropist who co-founded Microsoft died last year. Petrel’s crew previously discovered the wrecks of USS Indianapolis, USS Lexington and several ships lost in the ferocious battles around Guadalcanal. They include the cruisers USS Juneau and Helena and, most recently, IJN Hiei, the first Japanese battleship sunk during the war. In the latest step in its campaign to limit Chinese influence, the Australian government barred a wealthy Chinese businessman and political donor from re-entering the country. Huang Xiangmo has given millions to all of Australia’s major parties as part of a campaign to build support for Beijing. Authorities in Papua New Guinea are hunting a notorious outlaw whose been leading attacks on police in Milne Bay province. Following a prison escape, Tommy Baker has been blamed for armed robberies, piracy and murder but some blame the local police.